Team dynamics are an important predictor of organizational health. Teams that work well together perform better (and they are more fun to be a part of). To achieve this advantage, teams must dedicate effort towards mastering the following five specific behaviors. Why do we need teams in the first place? Because teams can accomplish things that individuals on their own can’t. So the ultimate measure of success for any team is the results it produces. But what often gets in the way? In most cases, a team will reach its goals only when everyone does his or her job. Therefore, our ability to achieve collective results is reliant not only on our own efforts but also on the efforts of others. Then it should naturally follow that it is the responsibility of every member of the team to push every other member of the team to do his or her best. So even though we know we are relying on each other, why can it be so uncomfortable for peers to hold each other accountable? There is one simple concept that makes all the difference in the world when it comes to holding another person accountable for something…did the parties commit to the decision in the first place? If we have not established clarity around our shared expectations and gained agreement on our respective roles and responsibilities, then the idea that we would be willing to hold each other accountable is absurd. If committing to decisions about direction and priorities is a precursor to expecting people to put pressure on their peers to perform, why don’t more teams do it? There is a saying that people must “weigh in to buy in.” If we are going to ask all members of a team to truly commit to a shared vision, then we need to be darn sure we get all the ideas (and emotions) out on the table. And the only way to make sure that all voices are heard is by having the team be collectively willing to engage in healthy and respectful conflict around ideas. When we logically know it’s a good idea to discuss different ideas and points of views, why is this an area where so many teams struggle? Putting your own ideas out there, especially when they go against the direction of “bolder” personalities or the group as a whole, can be a difficult thing. When team members are fearful of attacks or uncertain about how others will respond, there’s a natural tendency to hold back and just stay quiet; to protect oneself and not show vulnerability. But there is one key element that enables teams to push past the typical discomfort of associated with conflict: it’s called “trust.” According to Webster’s dictionary, one definition of trust is the belief that someone is good or honest. Applying this definition to our purposes here, we can say that trust is the belief that my team mates are good, honest and ultimately have the best of intentions. When teams dedicate focused effort on learning to be vulnerable with each other, the result is a domino effect that enables the team to…. When leaders align their actions with shared values and set a personal example of what they expect from others (what we call “Modeling the Way”), others on the team are more likely to follow suit and also start to become more open and trusting. When leaders put a priority on “Inspiring a Shared Vision” based on common aspirations, it pushes everyone on the team to commit to the decisions the group has made. When leaders make it a priority to “Challenge the Process” and search for innovative ways to change, grow and improve, the team is motivated to share their opinions and engage in robust dialog around a full range of ideas. When leaders “Enable Others to Act” by promoting cooperative goals and sharing power and discretion, individual team members recognize that it’s up to everyone to support each other and hold each other accountable for what’s been agreed upon. 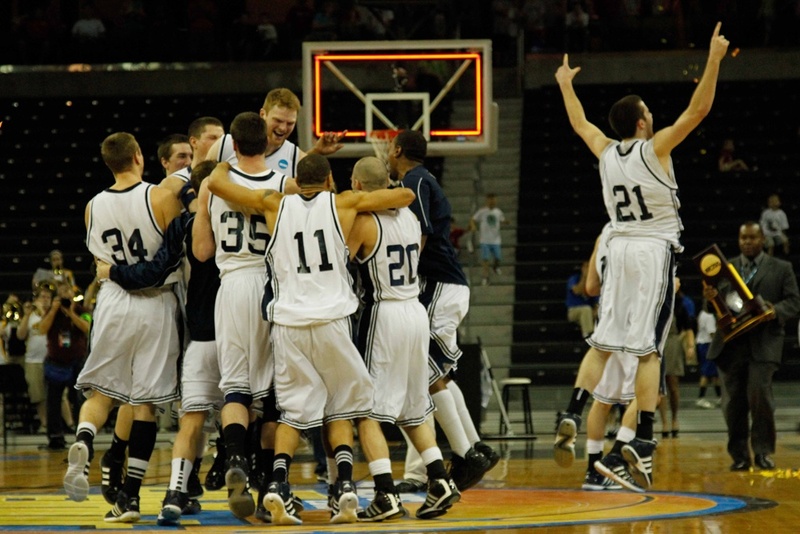 When leaders “Encourage the Heart” by showing appreciation and celebrating team victories, it serves to focus all team members on achieving collective results. When organizations establish clear direction, goals and success measures (what we call “Enterprise Alignment”), they are giving teams and team members what they need to focus on collective results. When organizations make “Customer Focus” a top priority and delivering the highest level of customer satisfaction is paramount, they invite all team members (including front-line workers) to share their ideas about how work processes should be designed. 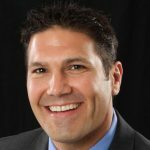 When organizations believe that they can always do better, they establish the value of “Continuous Improvement.” And when everyone in the organization knows that problems are opportunities to learn, it helps give team members the encouragement and support they need to establish accountability to themselves and each other. When organizations decide to be “Intentional” about building the “Culture” they want, they invest in creating a shared language around how teams should interact. There are of course many factors that contribute to these goals. But none are more critical than the three areas of Team Behaviors, Leadership Practices and Operational Excellence. 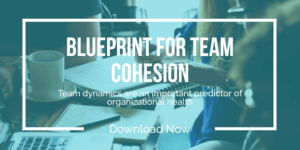 If your organization is looking for additional fuel on its journey toward Organizational Health, broadly embracing the Five Behaviors of a Cohesive Team will be an important step! PROLOGUE: Integris was founded for the purpose of helping clients build more healthy organizations. Our goal always is to increase “the good” (trust, collaboration, engagement, efficiency, etc.) while simultaneously decreasing “the bad” (gossip, politics, infighting, etc.). Through all our research and hands-on experience, we know that of all the factors that contribute to organizational health, three rise to the top: Leadership Practices, Team Behaviors and Operational Excellence.